TE Ross Dwelley (#85) is pursued by safety Ray Clark (#28) & LB Matt Hall (#42) after hauling in a pass. 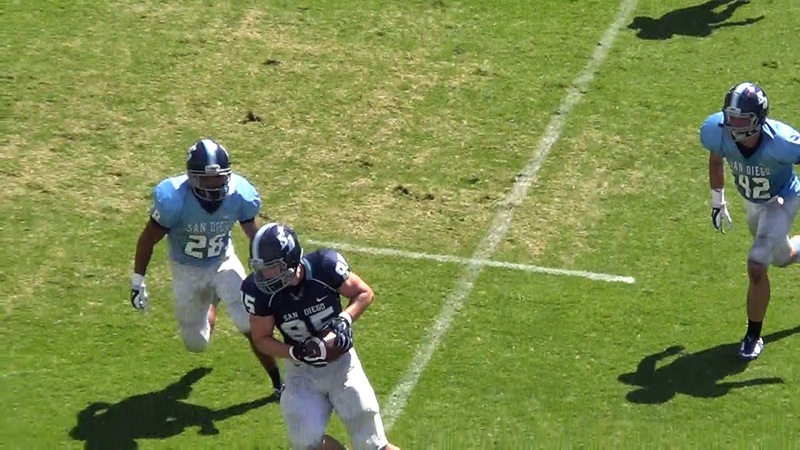 TORERO STADIUM (03/14/2015) The University of San Diego Toreros held their annual Spring Football Game Saturday afternoon to close out their spring practice sessions. The offense, who wore navy blue jerseys, competed against the defense, who wore Torero blue jerseys.